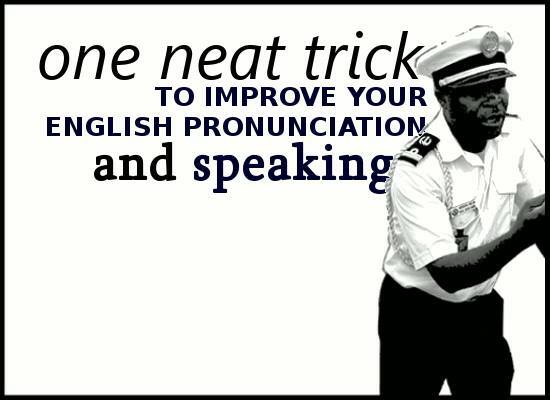 An English teacher friend of mine advised her student, who wanted to improve his English pronunciation, to use this technique. Her student followed her advice very well, and it almost drove her crazy! But within a week her student was speaking three times more clearly and understood more. The technique is called active listening. It’s very simple. When you hear people speaking English (like in a film or on TV), just try to copy what they’re saying. It doesn’t have to be correct. It doesn’t matter if you don’t even understand what you’re saying. In fact, most people sound a bit like babies when they do it. But that’s OK. This is how babies start learning to speak. This little guy knows how to learn. So why did it drive my friend crazy? Her student started copying EVERYTHING she said in the class. It was very annoying for her and the other students, but he improved his English pronunciation very quickly and he could understand a lot more after just one week. It may feel weird, but give this a try yourself. It’s free. It’s easy. It’s effective and it’s fun to sound like a baby! Go to YouTube and find a clip from your favourite series (like “Friends” or “Breaking Bad”). Choose one character and try to copy him or her.